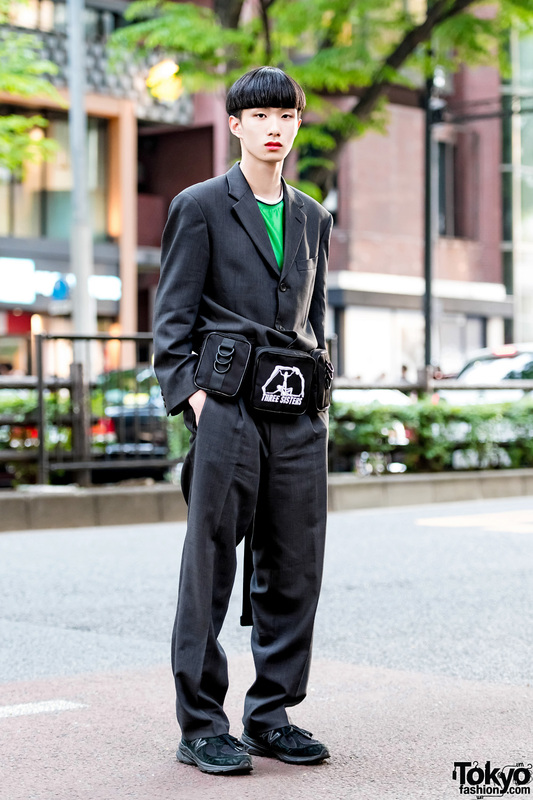 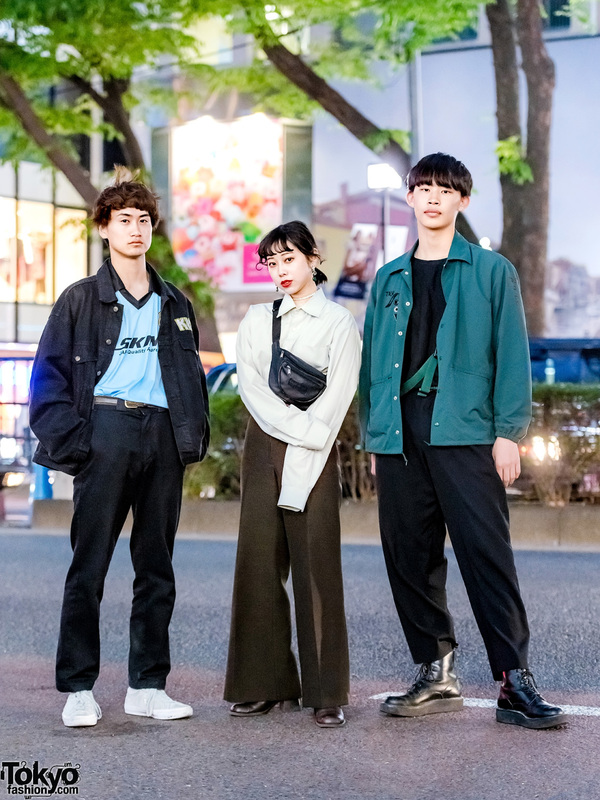 Harajuku guy wearing a dark grey suit, green shirt, black sneakers and a belt bag while out on the street. 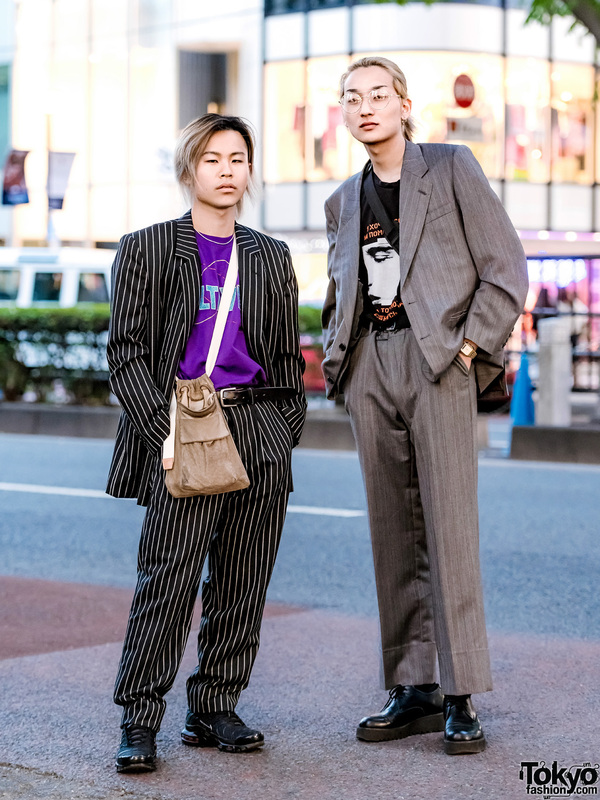 Harajuku student dressed in colorful street style w/ hot pink shirt over purple t-shirt, green pants, colorful strap shoes and a black belt bag. 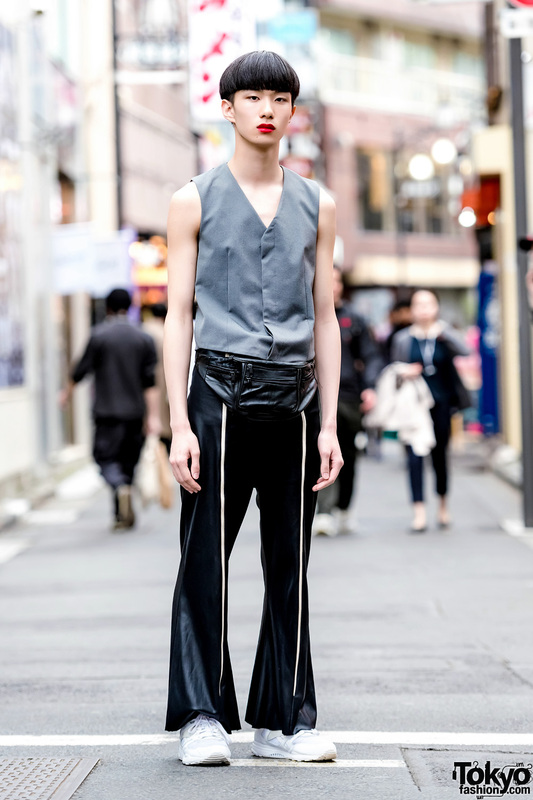 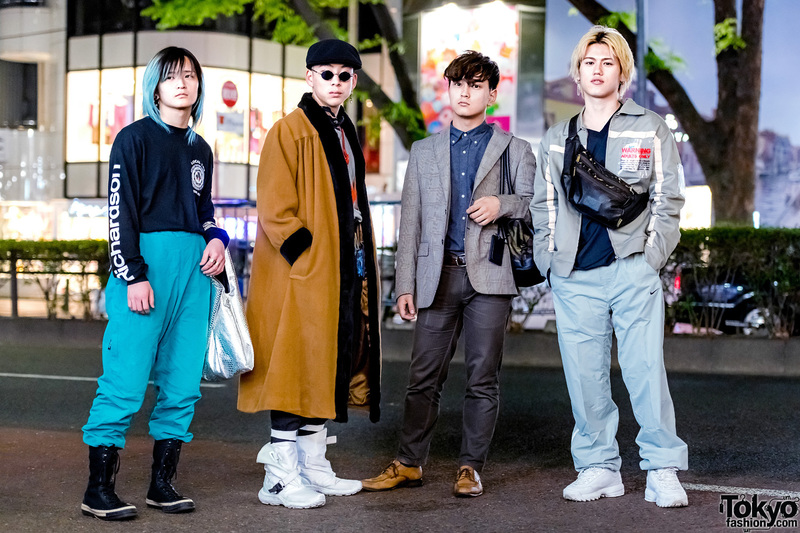 Harajuku student sporting a sleek editorial look while out on the street.